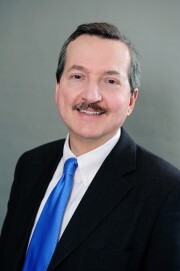 David B. Fischer has been with the American Chemistry Council (ACC) for nearly 15 years. He served as an Assistant General Counsel until 2010 at which time he was asked to co-manage ACC’s Chemical Products and Technology Divisions and to lead a practice area that includes numerous self-funded groups. From 2000 – 2003, Mr. Fischer was Adjunct Professor of Law at the University of Maryland School of Law. He received a B.A. in Biochemistry and Molecular Biology from Northwestern University, an M.P.H. from the University of North Carolina School of Public Health, and a J.D., with honors, from the University of Maryland School of Law, where he focused on environmental law. Mr. Fischer is also a patent attorney.